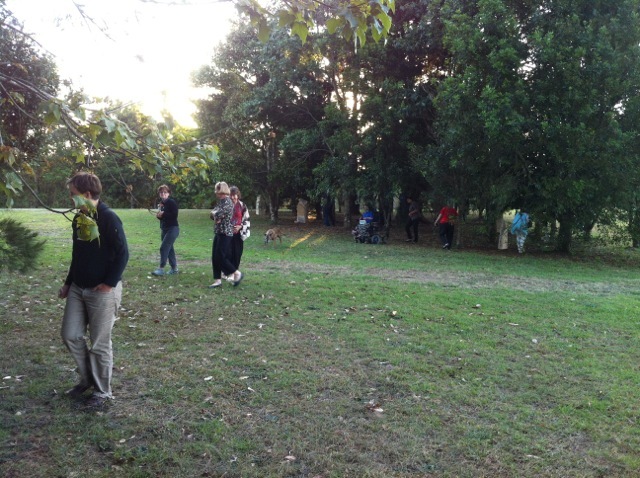 Last night art4place members and Peace in the Trees sandstone sculptural artists joined together in a celebration at Maleny Retreat. 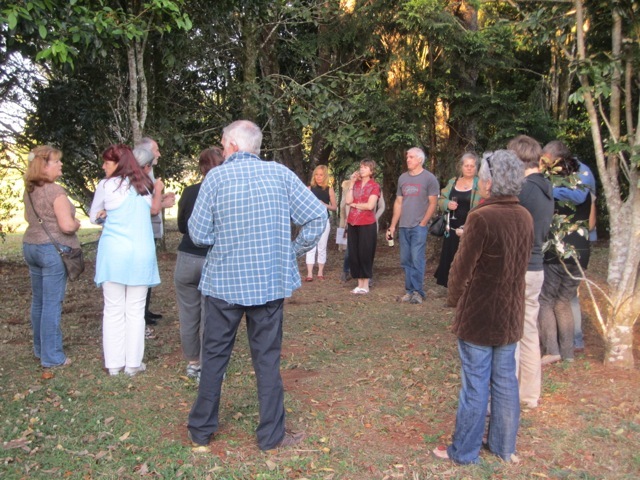 The event had a number of purposes but the most important were thanking the Maleny Retreat Gang for allowing us to do the Peace in the Trees placemaking art activity on their property; officially launch the Peace in the Trees installation with the artists who created the sandstone monoliths; and officially close Creative Spaces 2012. The 5.5minute video below takes you on a walk visiting the sandstone monoliths that make up Peace in the Trees. And of course there are many other photos of artists checking the installation out and generally celebrating this achievement. There was a real joyful spirit as folk wandered around and checked out, admired and discussed the monoliths. There is something special about a community of artists gathering, celebrating and just connecting; and what better event to do that at than the launch of Peace in the Trees. Well done, all of you. A wonderful afternoon to view and celebrate. Looks like a great afternoon, sorry I couldn't come.